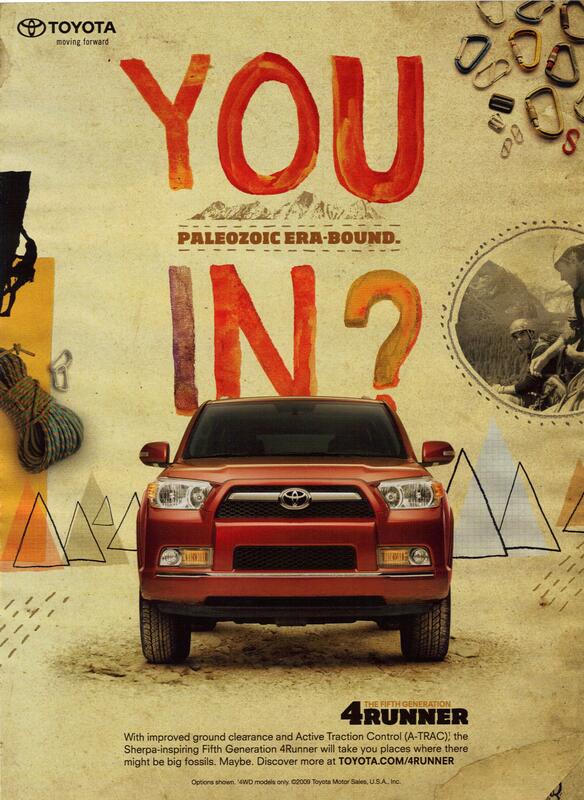 This is a recent ad for the Toyota Prius. So this is one of those commercials that I had to watch a couple of times before I really had any idea what to say about it. 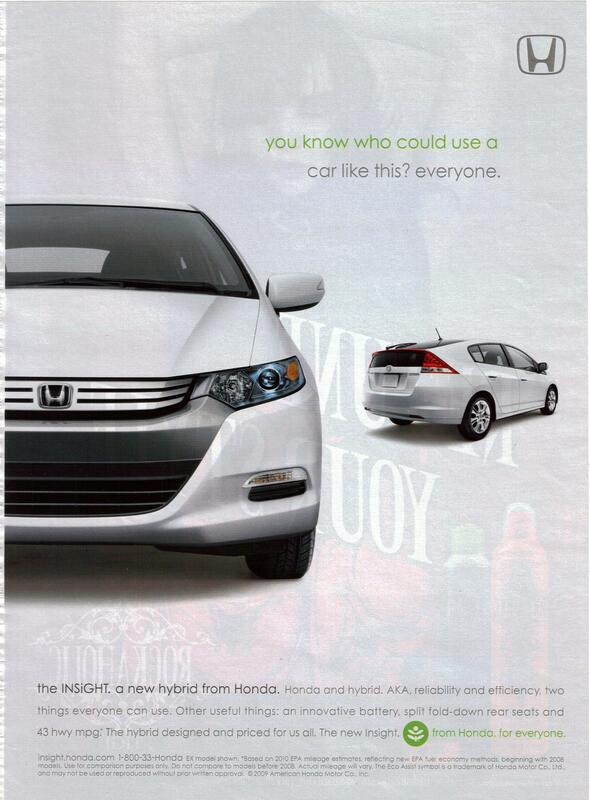 I’m beginning to feel like car ads are more about the gimmick in the ad than about the car itself. Maybe it’s a bet between car ad designers or something – whoever can get away with the most random thing in their commercial wins! I don’t think this is winning (I’m guessing the current front runner is either one of Kia’s ads or something from Asia), but it’s certainly weird. 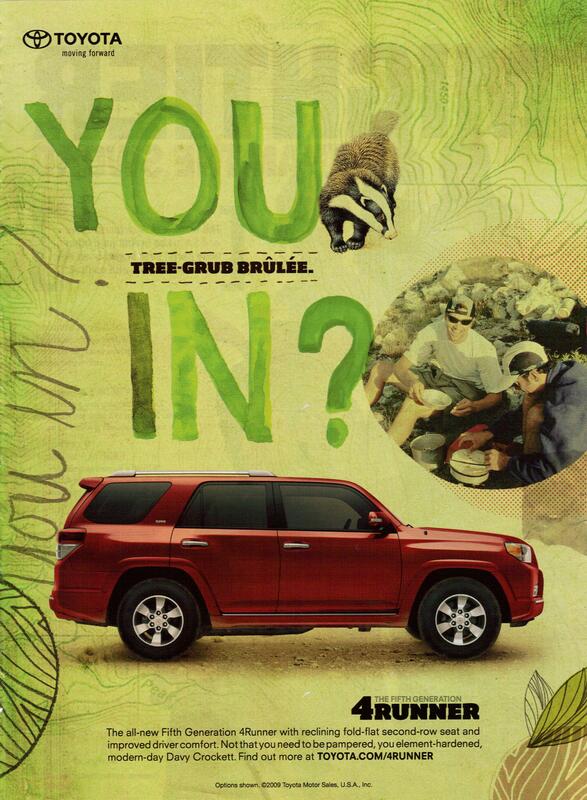 The problem here is that this ad is so busy distracting viewers with the weird people-as-nature thing (which, by the way, strips actual nature out of the picture entirely) that it doesn’t really tell us anything about the car. We get some vague statements said by a voice that is typically the kind giving us information, so I think they’re hoping we’ll think it’s information, but “more power and less smog” is not actually informative. It’s fuzzy and unspecific. And the people, randomly popping up like the munchkins from the beginning of MGM’s The Wizard of Oz, give more of an impression that the car is creating nature than that it’s helping to preserve it. That is definitely a confusion of message as well. 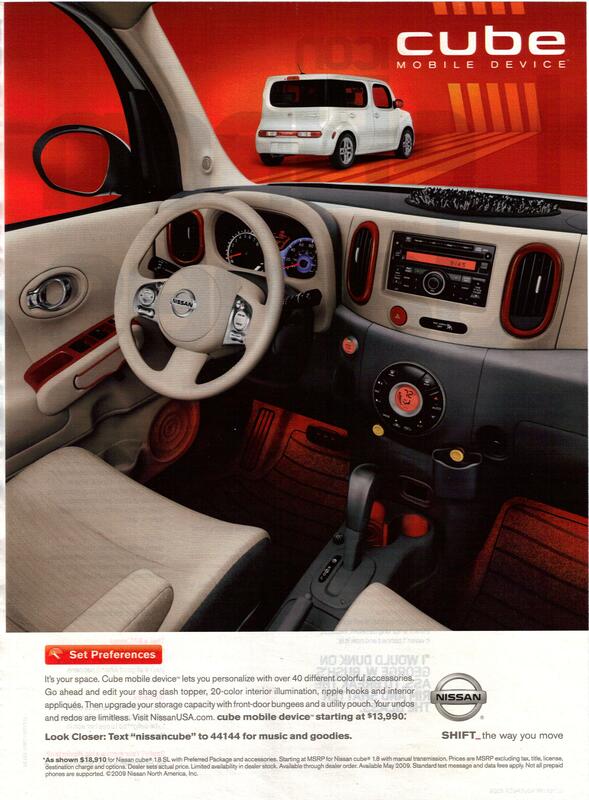 This is just such an odd ad. It feels like it should be selling something far less serious than a car. I’m not sure what it would be selling, actually. Flower costumes, maybe? This is a classic Oldsmobile commercial. I believe it dates from the 1950s sometime, but don’t have an exact year. Please let me know if you know what year it first aired! I think it’s funny that this commercial spends so much time on what other cars are like, but I do think that it makes it’s point well. I noticed that it’s clearly a man operating the “complicated” car and a woman operating the Oldsmobile. 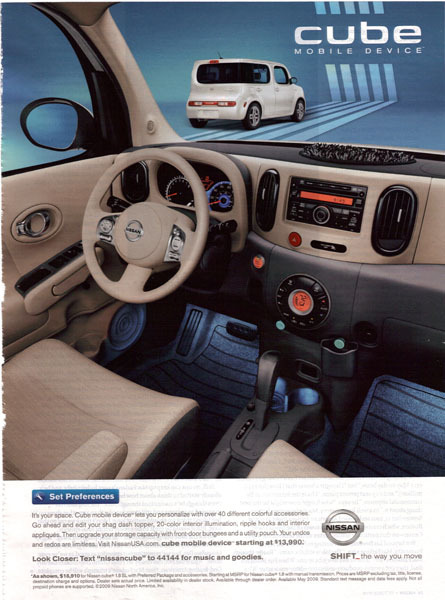 While I think it’s awesome that they used a woman in this ad, I think it’s also illustrates that the company believed women were less capable or comfortable with the more complicated requirements of the other car. This isn’t exactly complimentary and reinforces the “women aren’t good drivers” stereotype, even if only subtly. It’s very different from the flashy, often nonsensical car commercials that come out today (many of which never mention a single feature about the car at all), isn’t it? I actually think I’d prefer car ads that sold cars on their merits more like this one (only without the subtle sexist commentary, please). 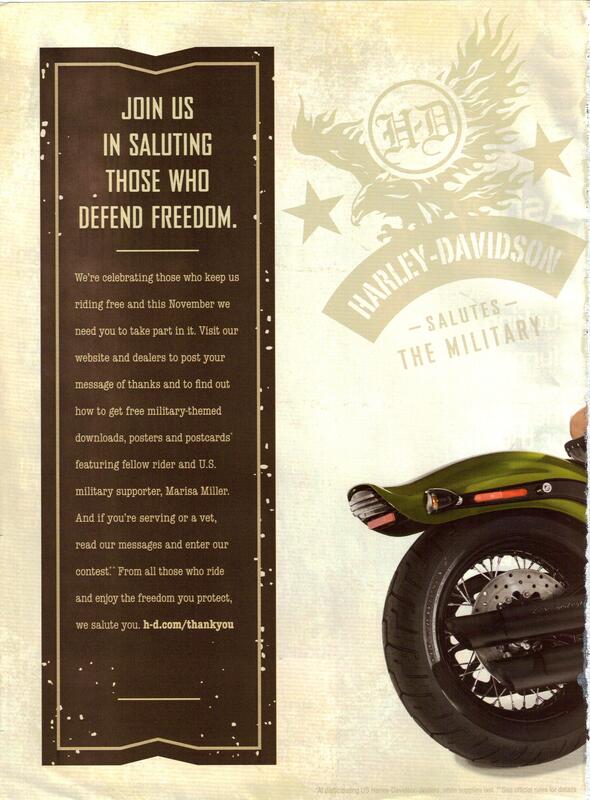 These are two recent print ads from Harley-Davidson. Both were found in magazines published within just weeks of each other. Join us in saluting those who defend freedom. We’re celebrating those who keep us riding free and this November we need you to take part in it. Visit our website and dealers to post your message of thanks and to find out how to get free military-themed downloads, posters and postcards featuring fellow rider and U.S. military supporter, Marisa Miller. And if you’re serving or a vet, read our messages and enter our contest. From all those who ride and enjoy the freedom you protect, we salute you. It’s a free country, but have you felt like that lately? Has the torch of liberty gotten a little dimmer? Do we still live in the home of the brave? As long as there are people willing to ask the questions, we’ll do our part to make sure a Harley-Davidson is the answer. Others may pull back in times like these, we’re launching 34 new ways to show the world what living free means, starting at $6.999. 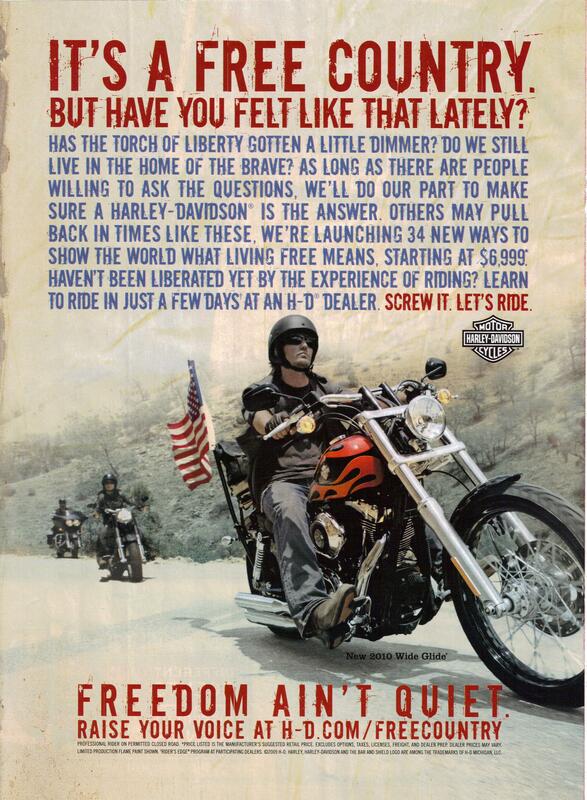 Haven’t been liberated yet by the experience of riding? Learn to ride in just a few days at an H-D dealer. Screw it. Let’s Ride. Freedom ain’t quiet. Raise your voice. I found this a really interesting pair of ads. While they aren’t completely opposing, they do sort of present opposite ideas. The first one presents the idea that while we are free, we need to protect it and celebrate those who are doing so on the battlefield. The second one presents the idea that while we are supposed to be free, it increasingly doesn’t feel like it, so we should be slightly rebellious and exercise not only the freedoms we have, but the freedoms we should have. As I said, these aren’t completely incompatible ideas, but they are sort of representative of two rather opposing viewpoints in the national discourse. I think that they are both very well done ads (although I’m not terribly fond of the pin-up girl thing). Both manage to not only clearly articulate their ideas, but also convey the feeling of it in every element of the images and graphic designs, from the typefaces chosen to the layouts and color palettes used. They are both striking ads and do a great job of being completely what they seem to want to be. I just found the vast difference between them interesting. What do you think?